"Villa Amalia" is a two-floor autonomous villa with 68sq.m in size, fully equipped and modern decorated. The villa is sharing a swimming pool with other 5 villas and surrounded by the bright green gardens with flowers and trees. Its ground floor has spacious living room and a fully equipped kitchen. On the first floor there is a master bathroom and two separate bedrooms. With high attention to detail and plenty of space for personal belongings, the Alexander villa has been designed for people who want to enjoy the experience of being close to nature and it is the ideal solution for families, couples or groups of people who seek comfort, calmness and peaceful moments during stay. Alexander Group of Hotel & Villas in Gerakari Village , Amari area - Rethymno, Crete island. 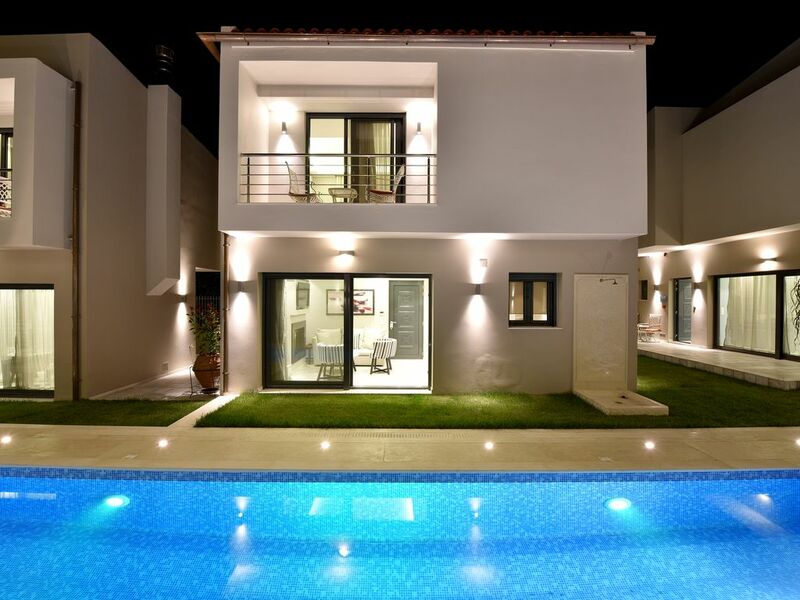 Luxury amenities, modern decorated, located into the unspoiled area of Crete island. Amari area is centrally located near North and South, West and East. Airports, Knossos palace, Phaistos palace, Samaria Gorge, Rethymno town or the South Crete beaches , all are between 30-80 minutes driving..